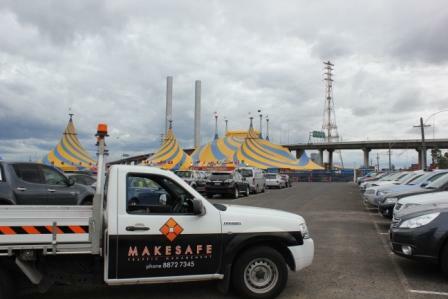 At Makesafe Traffic Management we specialise in the industry of car parking management for event and peak flow periods. Our experience has been gained over many years working within the event and corporate sector. 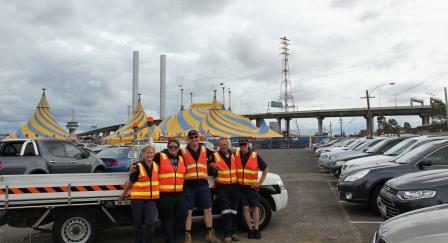 Our dedicated Car Parking Team will provide your event with the highest level of experience and service. We have worked within the University Sector during start of terms when the complexes are full of vehicles and car parking is at a premium. Our teams effectively manage the vehicle flows, close car parking to avoid major delays and safety issues and generally provide a point of information as to where to source parking. We have worked with many events – managing the car parking aspect of the event – this includes both designated and also parkland/grass parking. Makesafe Traffic Management will manage all aspects of the car parking including cash handling for paid parking. This production represented a number of challenges for our Team including the length of contract being two and a half months of 6 day per week operation and the location of the show with delays being experienced by patrons leaving the complex. The Team at Makesafe worked with the road authority to sync traffic signals and managed flows of traffic at intersections to ensure that delays were minimal. 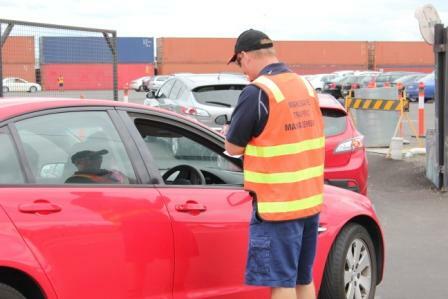 If you require any assistance with your event or car parking requirements please contact the friendly Team at Makesafe Traffic Management on (03) 8872 7374.